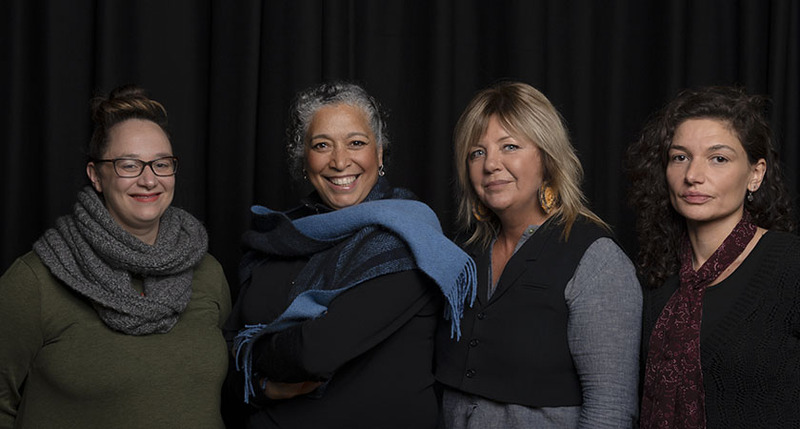 A ground-breaking First Nations theatre project that will bring to life the stories of generations of Victorian Koorie women has received the state’s largest ever grant for a single creative project through the Victorian Government’s Creative State Commissions program. ILBIJERRI Theatre Company, in partnership with Boonwurrung Custodian Caroline Martin (Director and Founder, Yalukit Marnang), is the recipient of $931,470 in funding for the multifaceted Bagurrk (woman) project which will forge new methods for making art based on First Peoples history and experiences. Bagurrk will celebrate the untold stories of Victorian Koorie women from before colonisation to the present day. The work is based on source material including Board of Protection records, the hundreds of letters written by Koorie women in the 1800s and oral histories that will be collected from Koorie women and their families across the state. Bagurrk will pay tribute to the tenacious women who defied great odds to keep their families, community and culture alive. As well as creating a dynamic theatre production that will premiere at Arts Centre Melbourne in 2021, ILBIJERRI and Yalukit Marnang will research and establish innovative consultation protocols and create a blueprint that can be used by other projects in the theatre and broader creative sectors that tell First Nations stories. The project will utilise the skills of Yalukit Marnang and ILBIJERRI’s Elders in Residence Arweet Carolyn Briggs and Uncle Larry Walsh to bring together descendants of the women behind the records and letters who will act as advisors in every aspect of the work, ensuring that self- determination and cultural authority are the driving forces of the project. First Nations artists and practitioners will lead all stages of the production and a range of attachments and work placements will be available to upskill our next generation of First Peoples theatre makers. In December, the Victorian Government called on creative practitioners and organisations across the state for ambitious creative ideas that had the potential to create an enduring legacy. ILBIJERRI and Yalukit Marnang’s impassioned proposal was selected from a total field of 27 applications and a shortlist of seven impressive projects. Two further projects from the shortlist have also received support to undertake further development. Malthouse Theatre will receive $100,000 to continue development on an immersive theatrical experience based on producer Jason Tamiru's own experiences of reclaiming and reburying the ancestral remains of First Nations people. A project led by Matthew Bird, Charity Edwards and Tom Morgan from MADA (Monash Art, Design & Architecture), in partnership with Ross Turnbull and Clare Chandler at Working Heritage, that aims to transform the former Warracknabeal Courthouse into a vibrant artist residency space and art hotel has also received $75,000 to undertake further development. “My great, great grandmother, Louisa Briggs was known as a vocal activist, described in an 1872 edition of the Melbourne Argus as ‘a most resolute lady’. Louisa was often spoken about as being strong-minded, hard working, known for her kindness, her love of children, her humour, fearlessness and courage. “In 1876, Louisa led a rebellion against government plans to sell Coranderrk and relocate its residents by writing numerous letters of protest to the Aborigines Protection Board. It is through the sheer strength and resilience of Louisa and the many other of our Matriarchal Ancestors that we are reminded, that women are not the silent partners in history - we all come from strong sovereign women; our Matriarchs defined history and because of them, we will continue to do so. ‘Bargurrk’ provides us our genetic responsibility to ensure that our murni-gurrk’s (old wise women’s) legacy is carried forward for many generations: just as it has been, so may it continue to be." - Caroline Martin, Managing Director and Founder, Yalukit Marnang. “Bagurrk is a story that has never been told but one that has shaped a nation. It will be a legacy piece for all Victorians; a landmark work that will shape the way that we move forward together as a people.” – Lydia Fairhall, Executive Producer/Co-CEO, ILBIJERRI Theatre Company.